If you don't have Filmora yet, click the button below to download it. Choose Mac or Windows depending on your OS. Double-click on the .dmg file that you downloaded. Follow the instructions on your screen to finish the installation process. The free trial of Filmora9 has no functional restrictions or time limits, but there will be a Filmora watermark added to your final video when you export. To remove the watermark, you need to purchase and register the software. 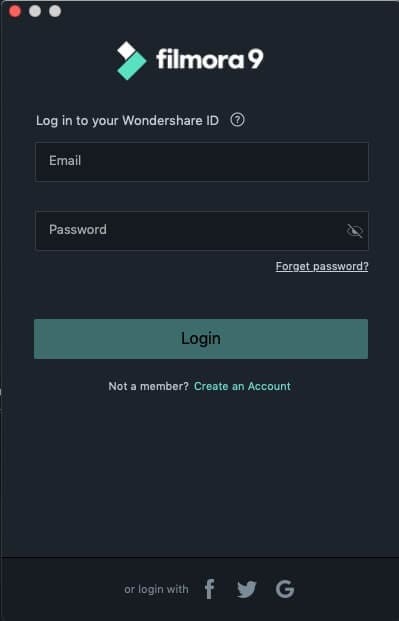 Click the Account icon in the upper right corner of the interface and then log in to your Wondershare ID with your email and password. You can also log in with Facebook, Google+, or Twitter. With Wondershare ID, you can get access to Filmora's resources, keep track of your product's activation status, and manage your purchases. If you don't have a Wondershare ID yet, read this guide to learn how to create a Wondershare ID. 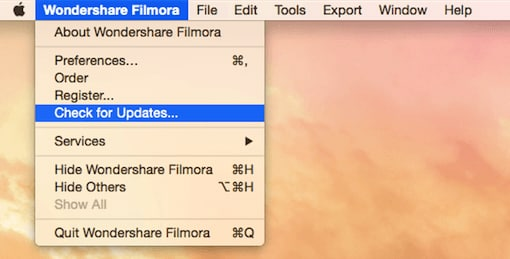 Go to Wondershare Filmora > Check for Updates and a window will pop up telling you which version you are currently using and whether or not it is the latest version. 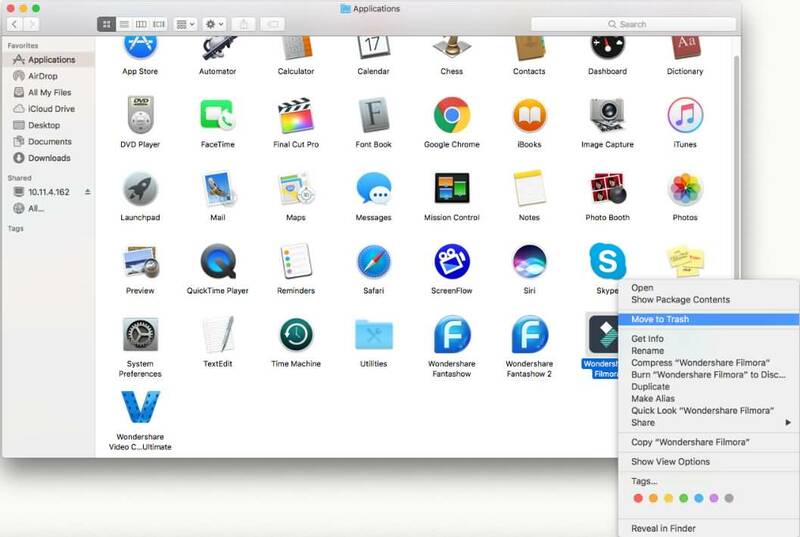 You always download the latest version on Filmora for Mac on the product page. Installing it will replace the previous version automatically without affecting your registration status.